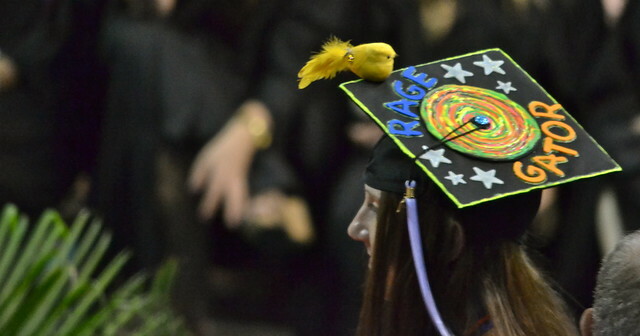 Decorating your cap isn’t just about making a fashion statement. It’s about reflecting back on everything you’ve accomplished, looking forward to the future and, in a way, creating a work of art devoted to your college career. You can use glitter glue or metallic paint to write an inspiring quote and decorate the edges with rhinestones. Get as creative as you want. Experiment with different fabrics, paints and embellishments until you’ve created something you can keep for years. Rhinestones and pearls are pretty, but what are the odds that another girl in your graduating class is going to be wearing the exact same kind? Probably pretty high. The chances another girl is wearing avocado earrings? Slim to none. When you want to add some signature style to your graduation outfit, you need accessories that capture your quirkiness to a T. Experiment with fun hoop earrings to stand out from afar or layer a few long necklaces for a beautiful sparkle and shine. When your body is pretty much completely covered, there’s not much left to work with beyond your face. Although you don’t want to go overboard with pageant princess makeup, you can go a little more dramatic than usual for graduation. If you’ve got a black graduation gown, sport a bold red lip to create a chic contrast, and keep the rest of your makeup to a minimum. For colored robes, coordinate your eye shadow and get some authentic-looking fake eyelashes for a dazzling effect. Since you won’t be able to work with your robe very much, you can rock a pair of statement shoes to give your outfit a unique appeal. Take a risk and choose something you might have been too scared to try in the past. After all, you’re a college graduate now, so who says you can’t rock a pair of 5-inch, hot pink heels? 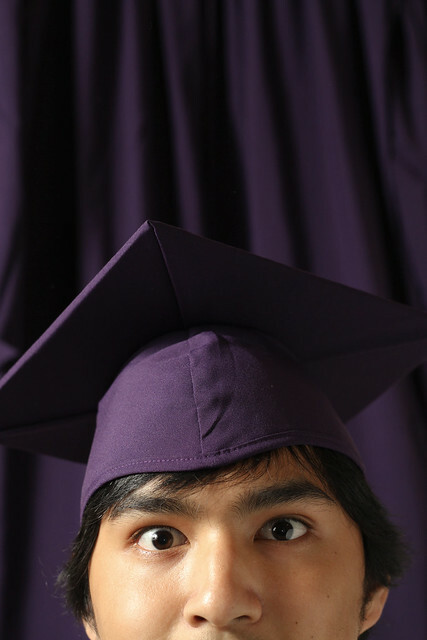 It might give you a bit of anxiety about walking across the stage, so practice your strut before the big day! Once you graduate from college, you’ll slowly transition into your new identity as an educated professional instead of a student. Although this can be intimidating, it comes with more opportunities to try something new and discover who you are. So let loose on graduation, show off your style and be that girl your classmates will remember years from now.